In a major population center like Salt Lake City, serious auto collisions and car accidents are sadly common. When these crashes result in serious injuries, an attorney can help you hold a negligent driver or a third party accountable for what happened. Many collisions are the result of people failing to follow the rules of the road. One example of this is running stop signs. While many of these accidents tend to occur at slower speeds than the highways, injuries can still be quite severe. Stop signs are in place for a simple reason: they make sure that intersections and the general roadway is clear for others to cross or turn safely. This is especially important in suburban neighborhoods, where stop signs don't just protect drivers but pedestrians and bicyclists as well. 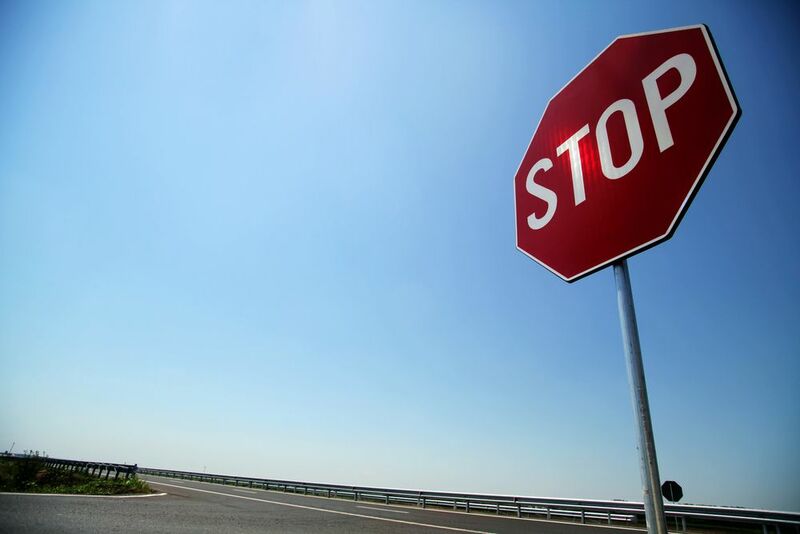 If you run a stop sign, you increase the risk of injuring others who are around you. Car crashes are more likely, as well as serious injuries to people crossing the street and riding their bikes. Numbers from the Federal Highway Administration tell a sobering story. Each year there are approximately 2.5 million accidents that occur in intersections. This makes up roughly 40 percent of all crashes in a given year. Other numbers suggest that 50 percent of all serious collisions occur in intersections; 20 percent of all fatal collisions also occur in intersections. Whenever you are behind the wheel, make sure to drive carefully at all times. Pay attention to posted signs, and always come to a complete stop at a stop sign rather than a rolling stop. Before driving through the intersection or making a turn, check one last time for oncoming traffic, which includes pedestrians crossing the street or people on their bike. If you are driving in an area with many school kids, be extra cautious about stop signs and yielding the right of way. While crossing guards may be on duty at certain intersections, they are not always present after school gets out. Look out for others and be a courteous, common sense motorist. If you or someone you love was injured as a result of someone running a stop sign, we can help you in your time of legal need. We can hold negligent drivers accountable for their actions, and can similarly hold the city accountable for poor placement of a stop sign or other issues that contributed to the accident that go beyond driver error or individual inattention. An experienced attorney will handle the legal filings and navigate the difficulties of the situation, while you and your loved ones can focus on recovery and moving forward with your life. For more information about your legal rights and options after an auto collision, be sure to contact an experienced personal injury and accident attorney today. Our team will fight for you and your legal rights every step of the way.